Medstar Medical was accredited by The Joint Commission for all services contained in the Comprehensive Accreditation Manual for Home Care. According to The Joint Commission, its accreditation process " ... is designed to help your organization continuously provide safe, high-quality care, treatment and services by identifying opportunities for improvement in your processes and helping you follow through on and implement these improvements" (Personal Communication, July 30, 2007). 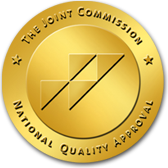 A fuller understanding of The Joint Commission, its standards, and processes can be obtained at www.jointcommission.org.